LÉWÀ (beautiful) by acclaimed photographer Luke Austin - the debut publication from Miloš Mestas Editions. Luke Austin is an Australian photographer based in Los Angeles. His portraiture work focuses on the energy, beauty, and vulnerability associated with male youth. 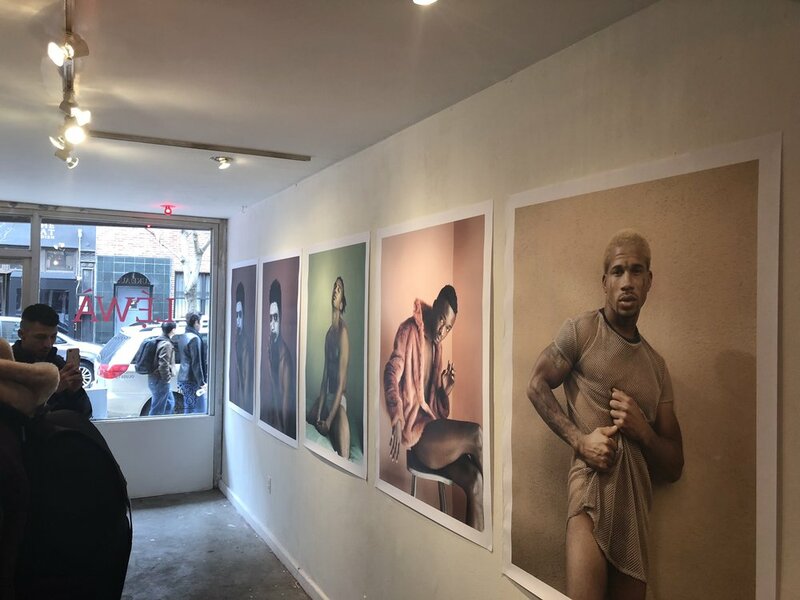 He began exhibiting his portraiture work in 2011, following a successful decade working in fashion photography, and has exhibited in Sydney, New York, Florida, and Los Angeles. A comprehensive breadth of his work can be viewed at lukeaustinphoto.com. His Instagram handle is @lukeaustinphoto. "The decision to make this book came from me wanting to open up conversation about what I had noticed when posting portraits of POC next to portraits of white people. The difference in love and attention each received. I also knew I had a great collection of portraits of black men that were different to what I had always seen in the pages of male portraiture coffee table books. I feel that black men are usually photographed as objects with a focus on muscles and often sexualized with a focus on their private parts. My portraits are a softer more vulnerable capture of each model's beauty. A beauty that I want racist white America to really see. I also think any imagery that distances black men from the common discussion and stereotype of them being rough, scary, hood, thug, etc. is incredibly important." LÉWÀ is published with the creative support of Dilge Kutluoğlu (Paris) & Carlos Valdivia Biedma (Madrid). Book launch events took place throughout February and March 2018.